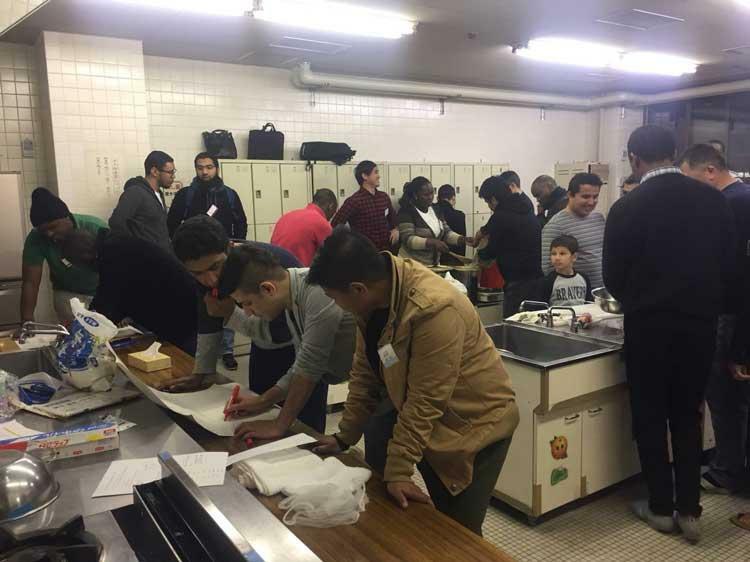 JICE Chubu Office hosted a cooking party at Nagoya Naka Lifelong Learning Center for the international students living in Aichi and Mie Prefectures on March 23rd Friday, 2018. 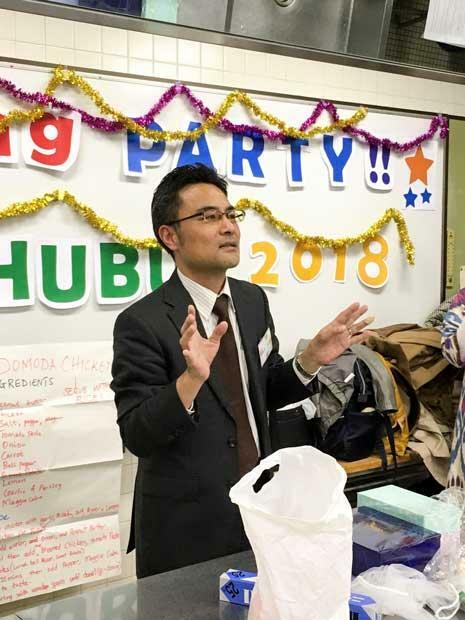 Invited were the students studying under four different scholarship categories supported by JICE Chubu Office. 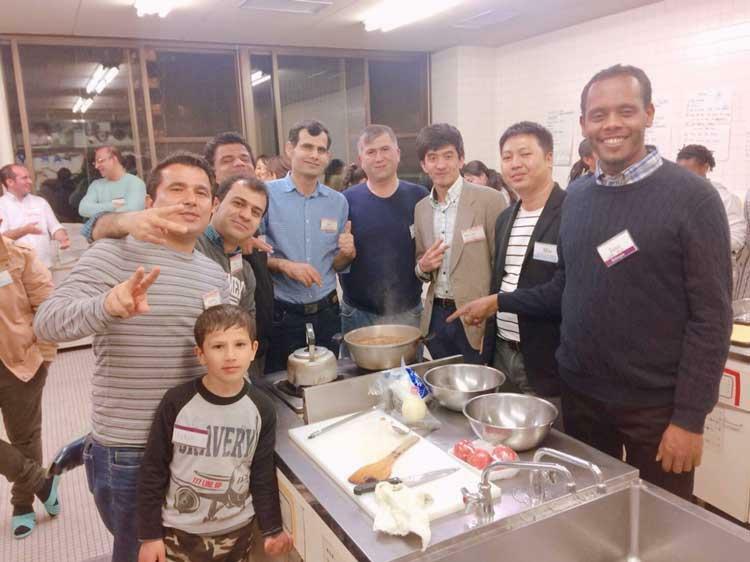 Thirty-nine international students, their family members and friends from 16 countries joined the party. 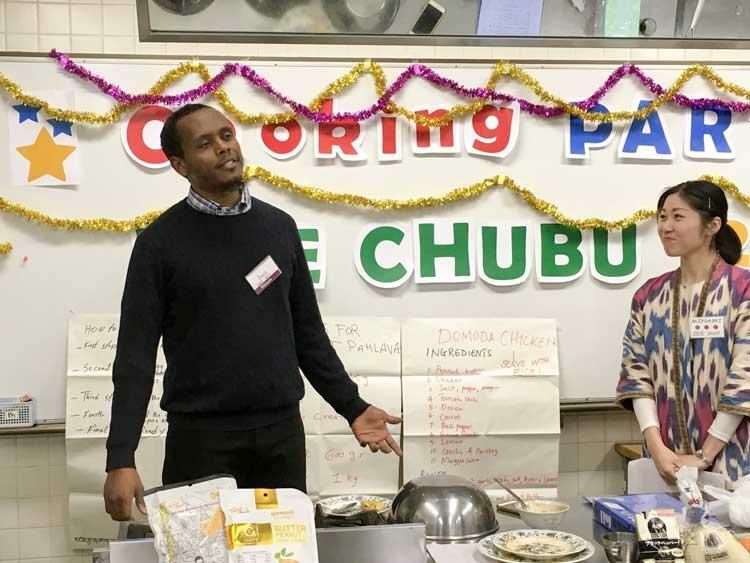 Mr.Shamsidinov Ulugbek, Ms. Abdurakhmanova Sarvinoz, Ms.Felicia Rosamond Mendy and Mr. Behroze Rostami volunteered as cooking instructors and everyone enjoyed cooking and tasting traditional meals and sweets such as Gambian peanuts stew, Uzbek fried rice and sweets and Afghan chicken curry. 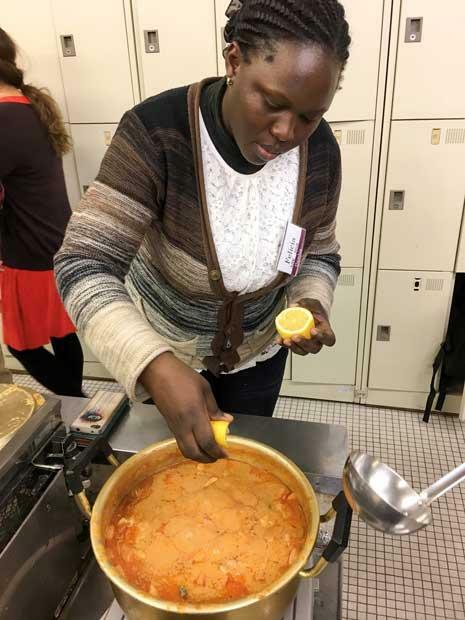 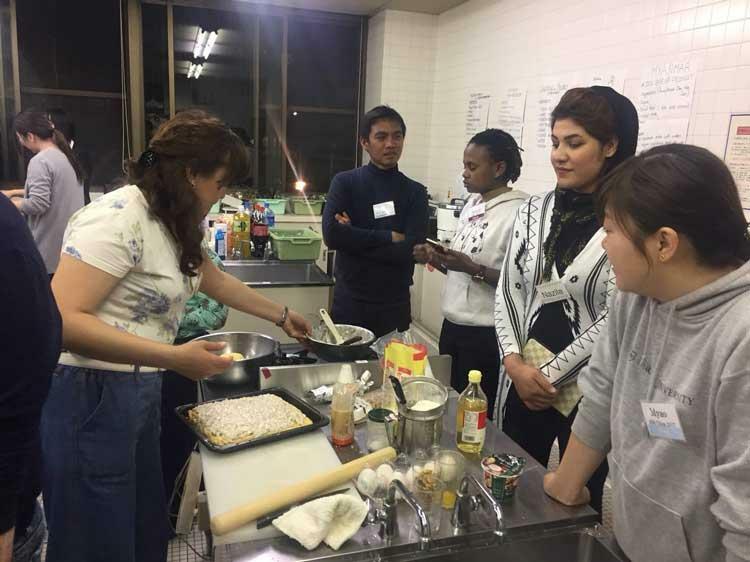 The cooking party has not only brought international students together but offered an opportunity to build human networks beyond the difference of nationalities and program categories as well as to develop a good relationship with the staff members of JICA and JICE who care them very much. 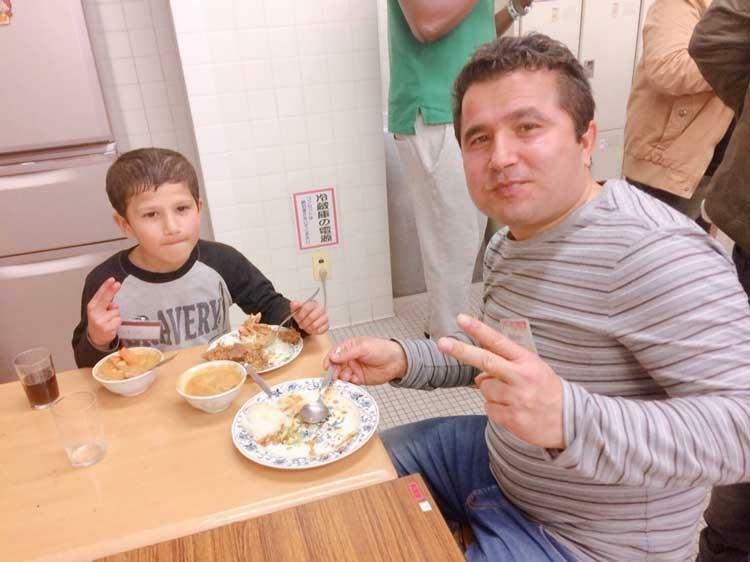 JICE hopes that through such interaction international students will strengthen the bonds between among themselves and with Japanese. 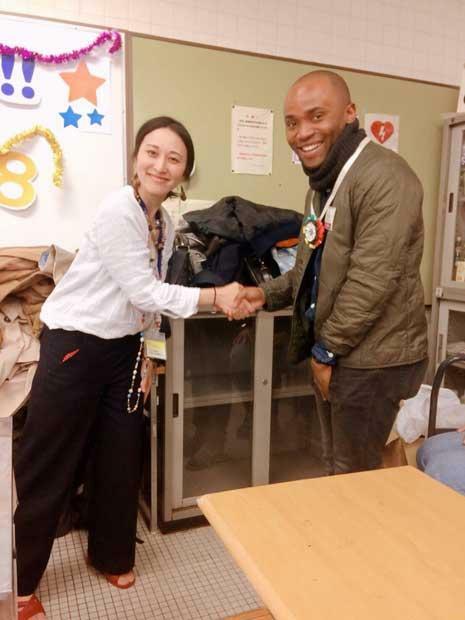 JICE will be further committed to supporting the academic activities of international students and helping them enrich their life in Japan through providing cultural and social opportunities such as this one. 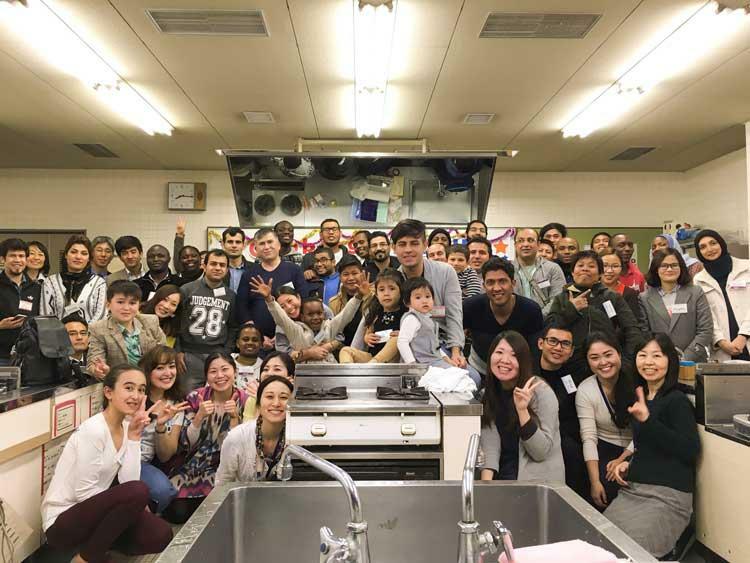 The international students from 16 countries, their families, their friends, JICA and JICE staff members; Around 50 participants enjoyed a joyful time together!